It's a low maintenance garden plant and will grow heartily throughout the winter (that big kale plant in the 25 great ways graphic? That is one of my kale plants in the middle of february) - providing your family with lots of great nutrition even when other fresh produce is scarce. So what's holding you back? Not sure what to do with those funny looking green leaves? 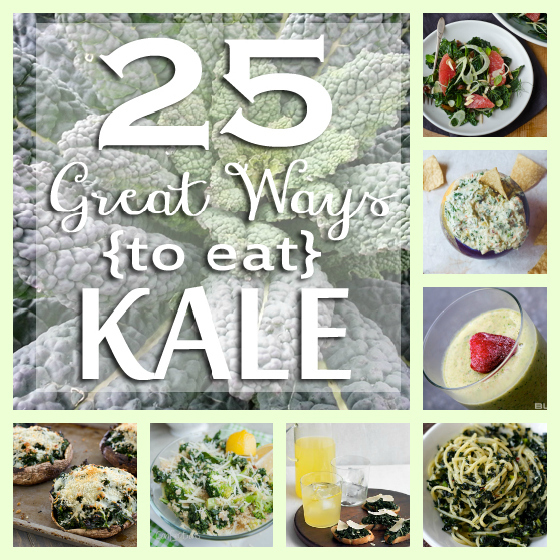 I've got 25 great recipes to help you think beyond the kale chip. Now, go forth and eat kale! Thanks. Ive seen it in the produce dept, but didn't know what to do with it. I'm going to try it. Maybe plant it this spring, too. It's so pretty. Any special companion plants you'd recommend? Mmmm...I love kale. 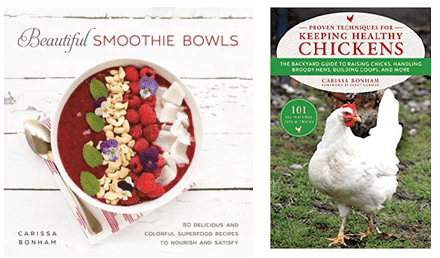 What a fabulous roundup of recipes!! Thank you so much for including my recipe! I really appreciate it :D The rest of these look awesome too! This is FANTASTIC! 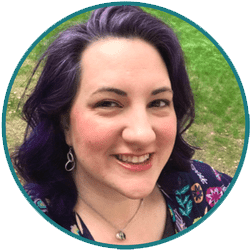 Thank you so much for sharing this on the wellness wednesday link-up. I know kale is a great nutrient-packed super food but I never know how to use it so my whole family will enjoy it. This is one that needs to be pinned!